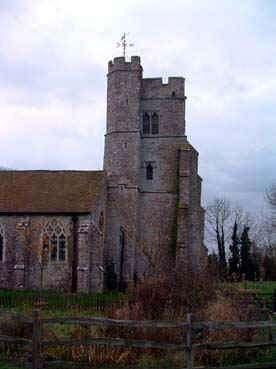 1625 Joseph Hatch cast the tenor bell at St Margaret's, Canterbury, weighing 6-3-0. 1637 Ring of 5 cast by John Wilnar. 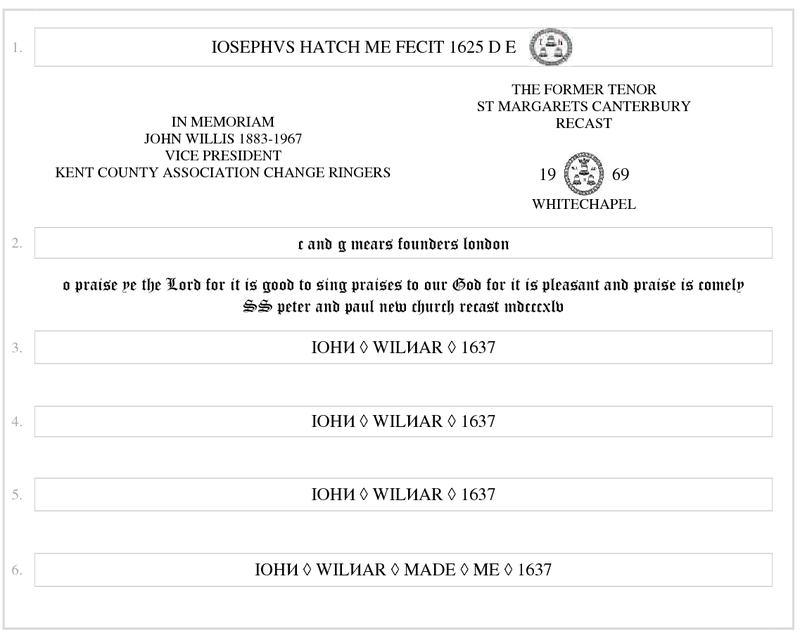 1845 Cracked treble (of 5) recast by Charles & George Mears. 1967 Fittings removed from the old 5. 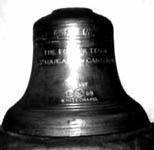 1969 Bells tuned, treble added from the metal of the tenor from St Margaret's, Canterbury, and hung in a new clockwise frame by Whitechapel (the previous frame was anticlockwise). 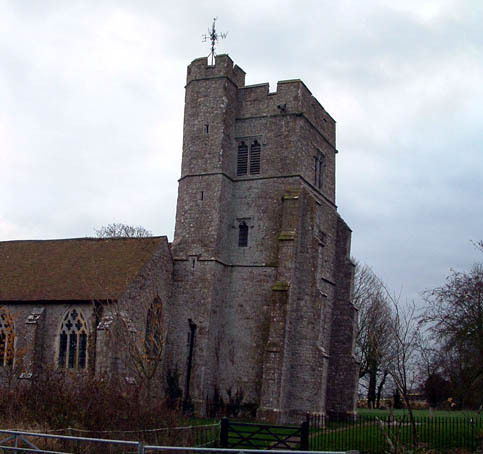 The bells were rehallowed by the Archbishop of Canterbury. The new treble bell is inverted. 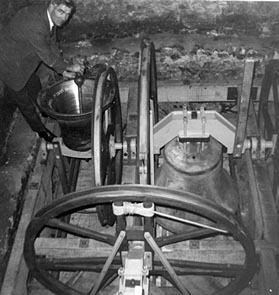 Next to that is the tenor bell, with Bill Beeching looking on. Another view of the tower showing a kink in the stages.